Some days are exceptional when out of nowhere you get something that you never expected at all. Who said Santa comes only for Christmas? I open the envelope that I have in hands and find tickets to Wimbledon. 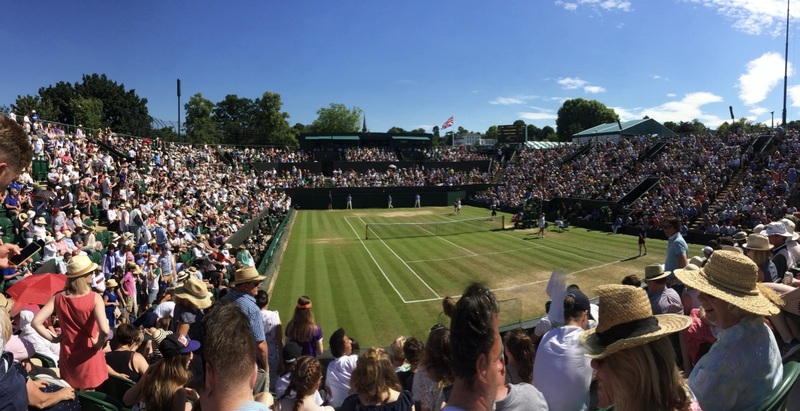 Wimbledon – Tennis – Lawn – Green – Roger Federer – Wimbleeedonnnnnnnnnnnn. My mind was on the hyper drive. Watching the action on TV is one thing, but seeing it live, is a whole lot different and I was excited and on my toes. 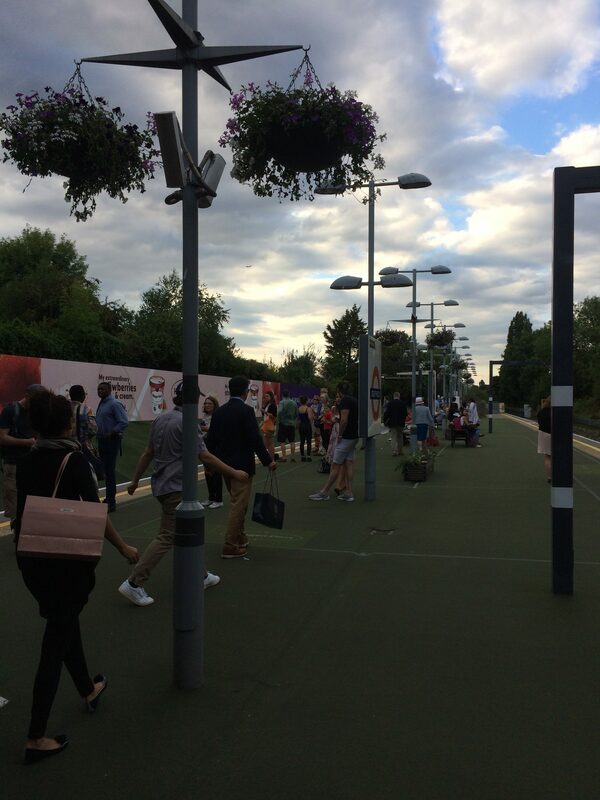 The air of championship was unmistakably visible right from the Underground station to the grounds. 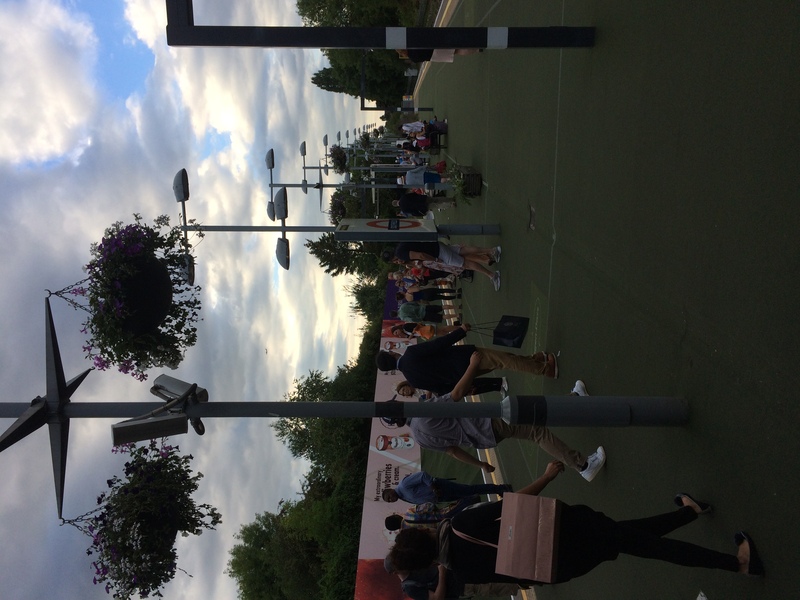 Where else can you find a train station platform laid with green carpet to resemble the lawn and baskets of flowers on every sign and light post? It was then I realised that Wimbledon is more than just tennis. 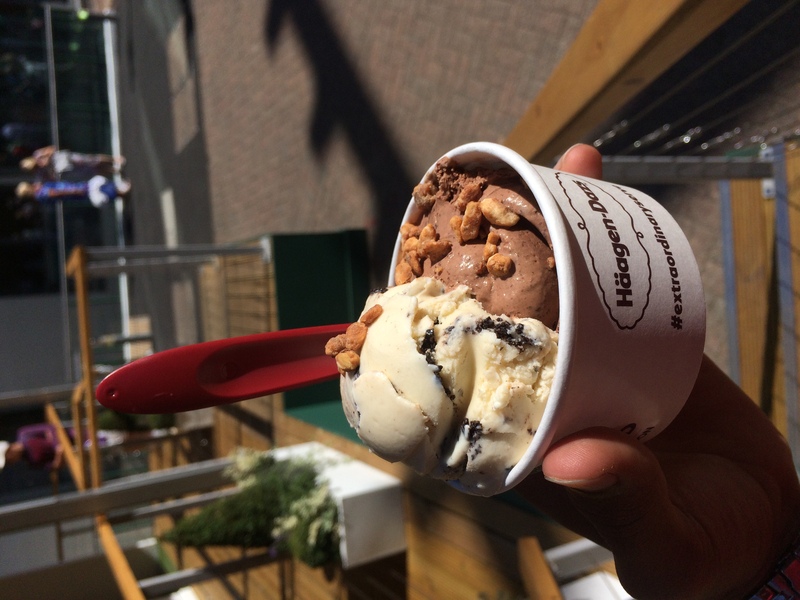 Past the security check, the excitement opens up to the buzz, stalls, and heightened activity, souvenir shops, ice creams, photo bhoots, cafés, strawberry and cream, Henman hill, Pimms and of course the tennis. All this culminated to one word: Thiruvizha. It was a hastened walk to the court. 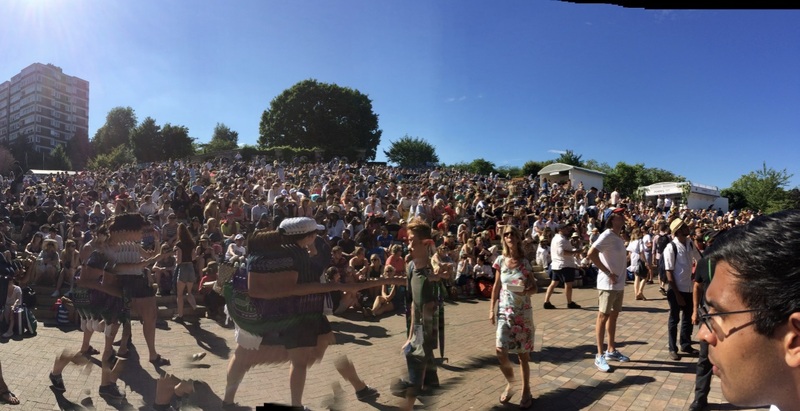 (Court 1- Wimbledon Towel – Trophy key chains – Henman hills – big screen – Ahhhhhhhhhhhh! – The mind in hyper mode again) And I did not want to miss the action anymore. Experiencing tennis up close lets you not only hear, but also feel every shot. I was excited I tell you! 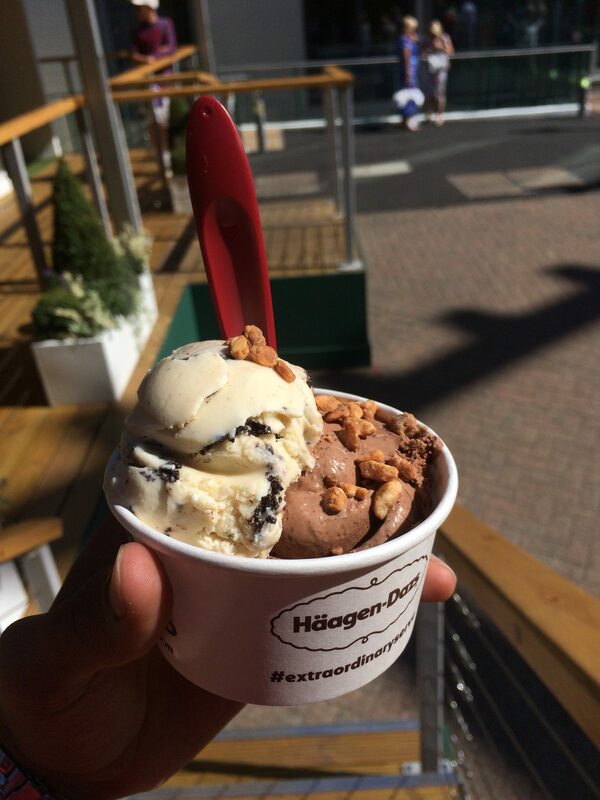 With a picture perfect weather, all the calories lost during the week getting converted to ice cream and strawberries(with fresh cream) did not feel like a sin at all. The souvenir shop was on the ‘definitely’ do list, and I did not shy away from buying all sorts of things. The most priced among them was the towel that the players use. Ever since that day, it is always the champion walk after a shower. Sports is something that can transcend borders and break prejudices. In a world where bridges are breaking, and walls are soaring higher, sports will play ray of hope!